WASHINGTON (AP) — The special counsel’s Russia probe is “close to being completed,” the acting attorney general said in the first official sign that the investigation may be wrapping up. Acting Attorney General Matthew Whitaker’s comments Monday were a departure for the Justice Department, which rarely comments on the state of the investigation into whether President Donald Trump’s campaign coordinated with Russia during the 2016 presidential election. “The investigation is, I think, close to being completed,” Whitaker said Monday at the end of an unrelated news conference in Washington. He said he had been “fully briefed” on the probe. Whitaker did not elaborate or give any timetable for the end of a nearly two-year investigation that has shadowed Trump’s presidency. So far, special counsel Robert Mueller has charged 34 people, including several close to the president. But he has yet to accuse anyone close to the Trump campaign of conspiring with the Kremlin to hurt Democrat Hillary Clinton and help Trump win the election. 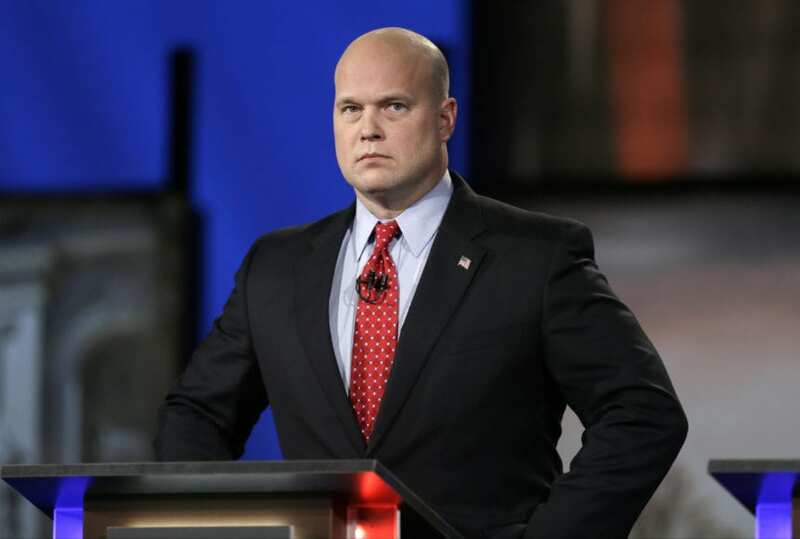 Whitaker, who is seen as a Trump ally, took over the Justice Department — and oversight of the Mueller probe — after Jeff Sessions resigned as attorney general in November at Trump’s request. Whitaker has drawn criticism for not recusing himself from the Russia investigation, even though he has publicly criticized it in the past. A top Justice Department ethics official advised him to step aside out of an “abundance of caution,” but Whitaker declined to do so. According to Justice Department regulations, Mueller has to provide a report to the attorney general at the conclusion of his investigation laying out his prosecution decisions. But it’s unclear what form the report will take or whether it will be released publicly. And depending on when Mueller wraps up, the report may not go to Whitaker. Trump has nominated William Barr to serve as the next attorney general. His confirmation hearing was held this month and he’s awaiting a vote in the Senate. Barr told the Senate Judiciary Committee earlier this month that he wants to release as much information as possible about Mueller’s findings, but he has hedged on specifics. Trump has slammed the Russia investigation as a “witch hunt” and says there was no collusion. The evidence so far shows that a broad range of Trump associates had Russia-related contacts during the 2016 presidential campaign and transition period, and several lied about the communication. Those contacts, according to Mueller’s indictments and U.S. intelligence agencies, occurred while the Russian government carried out a multifaceted effort to influence the 2016 presidential campaign and attempt to sway it Trump’s way. On Friday, longtime Trump confidante Roger Stone became the sixth Trump associate to be charged by Mueller. The others are Trump’s former national security adviser, his campaign chairman, his former personal lawyer and two other campaign aides. Stone faces a Tuesday morning arraignment in federal court, where he is expected to plead not guilty to charges that he lied to lawmakers, engaged in witness tampering and obstructed a congressional investigation into possible coordination between Russia and the Trump campaign. Though most defendants facing charges tend to stay quiet for fear of inflaming prosecutors or a judge, Stone has opted for a different tack since his pre-dawn arrest Friday. Stone staged an impromptu news conference outside a Florida courthouse, made the rounds on weekend television interviews and mocked the probe on Instagram, posting a cartoonish image of Mueller holding a “nothingburger” — just a hamburger bun with no meat. Also Monday, a judge delayed the sentencing of Trump’s former campaign chairman Paul Manafort in Virginia after he was convicted of eight financial crimes last year. The sentencing is being delayed as a judge in Washington decides whether Manafort intentionally lied to investigators. Associated Press writer Eric Tucker contributed to this report.